Sweat, Lynn Nottage's topical reflection of the present and poignant outcome of America's economic decline, has won the Pulitzer Prize for Drama 2017, it was announced yesterday (10 April). Set in a city in Pennsylvania, Sweat tells the story of a group of friends who have spent their lives sharing drinks, secrets and laughs while working together on the factory floor. But when layoffs and picket lines begin to chip away at their trust, the friends find themselves pitted against each other in a heart-wrenching fight to stay afloat. The play received its premiere at the Oregon Shakespeare Festival in October 2015, and is currently playing at Studio 54 on Broadway. It has been praised as 'the first theatrical landmark of the Trump era' (New Yorker), and previously won the 2016 Susan Smith Blackburn Prize. 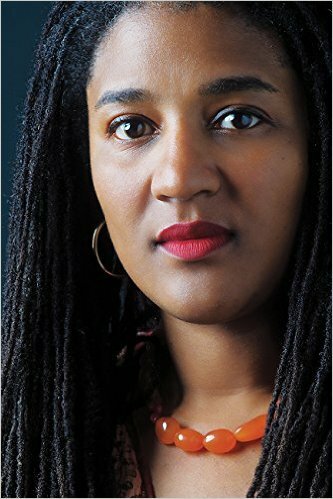 Lynn Nottage is the first woman writer to win a second Pulitzer Prize for Drama, having previously triumphed in 2009 for Ruined, her passionate, heartfelt play set in a small mining town deep in the Democratic Republic of Congo. Other NHB-published playwrights to win the Prize include Annie Baker for The Flick in 2014, Bruce Norris for Clybourne Park in 2011, Tracy Letts for August: Osage County in 2008, and David Lindsay-Abaire for Rabbit Hole in 2007. The Bruntwood Prize for Playwriting, Europe’s largest playwriting competition, opened for entries yesterday (24 January), with submissions accepted until 5 June. A partnership between the Royal Exchange Theatre, Manchester and property company Bruntwood, the Bruntwood Prize for Playwriting is an opportunity for writers of any background and experience to enter unperformed plays to be judged by a panel of industry experts for a chance to win part of a prize fund of £40,000. Each of the winners will enter into a development process with the Royal Exchange Theatre. The winning scripts, will be announced at an awards ceremony in Manchester this November. For more information, including how to enter, visit the Bruntwood Prize website here. Nick Hern Books is proud to have been the Publishing Partners of the Bruntwood Prize since its inception in 2005, publishing the plays that go on to receive productions - and we're delighted to continue this relationship in 2017. To help you get inspired for your own 2017 entry, we're offering 25% off all NHB-published, Bruntwood Prize-winning plays bought through our website. See more here.